CARLSBAD, Calif.—SPY® is happily introducing the “greenest” sunglass frame ever made—the SPY + Surfrider Foundation Helm—as a part of its new eco-friendly Recompose™ Collection. With a shared passion for surfing and the common goal of environmental awareness, the SPY + Surfrider partnership aims to highlight Surfrider Foundation’s Rise Above Plastics campaign while advancing the development of environmentally conscious eyewear built from sustainable sources. With both frame and hinges made from 100% biodegradable Plantate™, an all-natural plant polysaccharide material, the SPY + Surfrider Foundation Helm is a breakthrough in environmentally mindful eyewear. Even the recycled packaging, organic cotton protective baggie, soy inks and cleaning cloth are all part of the ethos built into SPY’s new eco-friendly Recompose™ Collection—which is launching with this first partnership between SPY and Surfrider Foundation on Earth Day, April 22, 2013. Purchasers of this biodegradable sunglass frame from SPY will be happily supporting the goals of the Surfrider Foundation, as $5 from each pair sold will go to aid their mission of protecting oceans, waves, and beaches. MSRP for the SPY + Surfrider Foundation Helm is $110 and can be found at a local retailer near you. 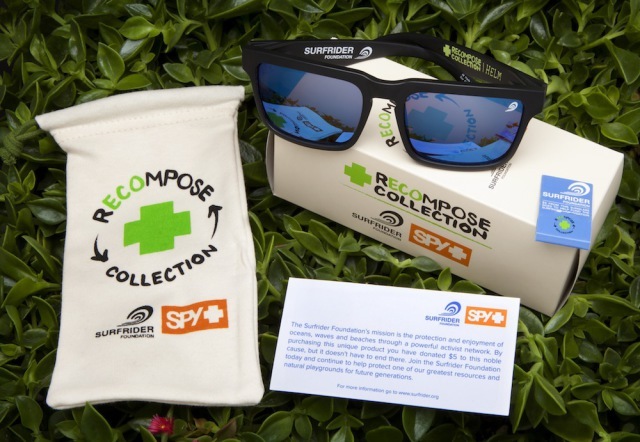 For more information on the SPY + Surfrider Foundation Helm and environmentally conscious Recompose Collection, go to http://www.spyoptic.com/collection/recompose.html. To learn more about Surfrider Foundation and their Rise Above Plastics campaign, go to http://www.surfrider.org/rap. 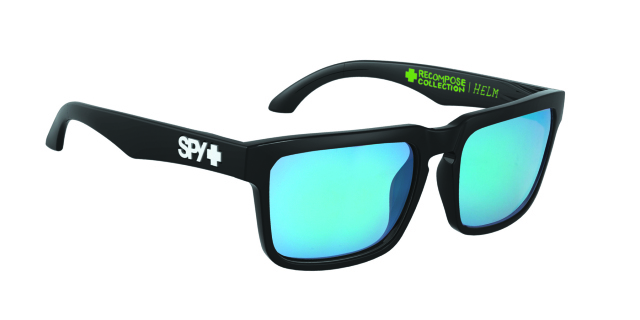 For more information about SPY, log-on at www.spyoptic.com, www.facebook.com/spyoptic, Twitter @spyoptic and @spyoptic on Instagram. We have a HAPPY disrespect for the usual way of looking (at life). 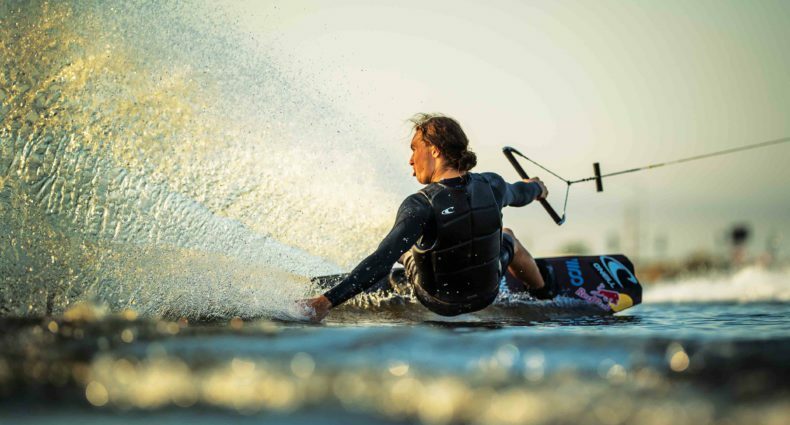 This mindset helps drive us to design, market and distribute premium products for people who “live” to be outdoors, doing intense action sports, motorsports, snow sports, cycling and multi-sports‹the things that make them HAPPY. We actively support the lifestyle subcultures that surround these pursuits, and as a result our products serve the broader fashion, music and entertainment markets of the youth culture. Our reason for being is to create the unusual, and this is what helps us deliver distinctive products to people who are active, fun and a bit irreverent, like us. It¹s what makes us HAPPY, and our customers, too. Our principal products‹sunglasses, goggles and prescription frames‹are happily marketed with fun and creativity under the SPY® brand. More information about SPY may be obtained from: www.spyoptic.com, www.facebook.com/spyoptic.com, Twitter @spyoptic and Instagram @spyoptic. The Surfrider Foundation is a non-profit grassroots organization dedicated to the protection and enjoyment of our world¹s oceans, waves and beaches through a powerful activist network. Founded in 1984 by a handful of visionary surfers in Malibu, California, the Surfrider Foundation now maintains over 250,000 supporters, activists and members worldwide. For more information on the Surfrider Foundation, visit www.surfrider.org.